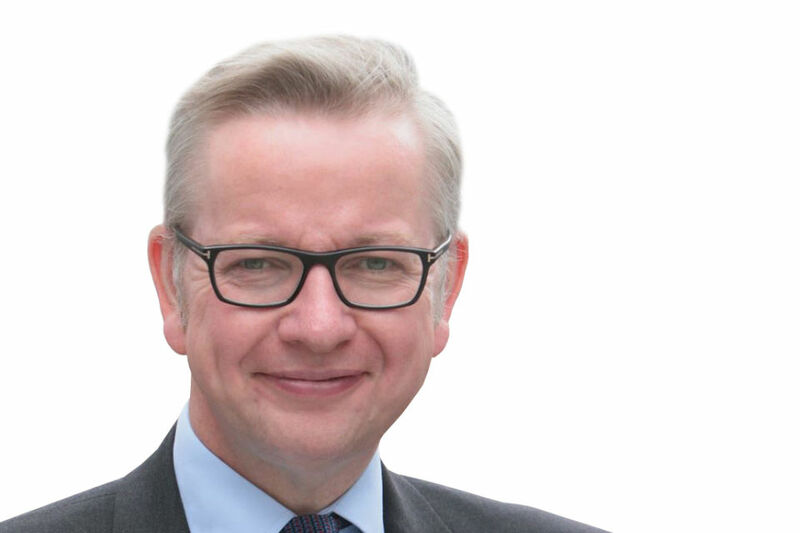 The Education Secretary's speech on academies at Haberdashers’ Aske’s Hatcham College. ‘Hands off’ the unacceptable waste of talent. ‘Hands off’ the chronic, ingrained educational failure. ‘Hands off’ our failing school. But the facts on the ground tell a very different story. A common attack is that our reforms - those that focus on school autonomy in particular - are experimental, untested and untried. But the seeds of our reforms go back decades. The first City Technology Colleges were set up in 1988 - and indeed we are standing in one of the very first. These all-ability comprehensives enjoyed much more autonomy than other schools, and headteachers exercised their new-found freedom to extraordinary effect. Despite being overwhelmingly located in poorer areas, the CTCs achieved - and continue to achieve - great results: the proportion of pupils eligible for free school meals in CTCs who earned five or more good GCSEs at grades A* to C is more than twice as high in CTCs as it is for all maintained mainstream schools. Some of the autonomy enjoyed by schools like the CTCs, and indeed grant-maintained schools, was eroded after 1997. But the best minds in the last Government knew that was a mistake. And when they were given the chance to shape policy we saw autonomy return and school leaders back in charge. Andrew Adonis knew it was headteachers, not councillors, not ombudsmen, not advisers or consultants, who made schools succeed. So he cut through the red tape and - as well as establishing the London Challenge, Black Country Challenge and Manchester Challenge - created the Academies programme. [An academy] belongs not to some remote bureaucracy, not to the rulers of government, local or national, but to itself, for itself. The school is in charge of its own destiny. This gives it pride and purpose. And most of all, freed from the extraordinarily debilitating and often, in the worst sense, politically correct interference from state or municipality, academies have just one thing in mind, something shaped not by political prejudice but by common sense: what will make the school excellent. Labour’s Academies programme proved genuinely transformative and provided a solid basis for our reforms. But we had more than just the evidence of history to lean on. The principle of autonomy-driven improvement is solidly backed by rigorous international evidence. The best academic studies clearly demonstrate the effect of empowering the frontline. Trust professionals and they will exceed your expectations. Research from the OECD and others has shown that more autonomy for individual schools helps raise standards. In its most recent international survey of education, the OECD found that ‘in countries where schools have greater autonomy over what is taught and how students are assessed, students tend to perform better.’ Two of the most successful countries in PISA international education league tables - Hong Kong and Singapore - are amongst those with the highest levels of school competition. And from autonomous schools in Alberta, to Sweden’s Free Schools, to the Charter Schools of New York and Chicago, freedom is proving an unstoppable driver of excellence. Last November, Eric Hanushek and Ludger Woessmann - of the universities of Stanford and Munich respectively - submitted a report to the European Commission under the auspices of the European Expert Network on Economics of Education . While the primary focus was on the relationship between educational attainment and economic growth, Hanushek and Woessmann’s research also highlighted the critical role of autonomy as a driver of high educational standards. Across countries, students tend to perform better in schools that have autonomy in personnel and day-to-day decisions, in particular when there is accountability. Critics of choice-based policies often argue that a greater reliance on choice and private competition can lead to greater segregation of students. On the other hand, in particular the additional choice created by public funding for privately operated schools may particularly benefit disadvantaged students whose choices are otherwise most constrained, and thus boost equity in the school system. In fact, the cross-country patterns suggest that a larger share of privately operated schools is not only related to a higher performance level, but also to a substantially lower dependence of student achievement on socioeconomic status - as long as all schools are publicly financed…In such a setting, allowing choice among schools can even lead to reduced segregation because access to good schools is no longer tied to being able to afford to live in an expensive neighbourhood. So we’ve been working hard to increase autonomy for all our schools. Part of this has been about reducing central and local government prescription for all schools to give heads and teachers the space to focus on what really matters. The hundreds of pages of FMSIS forms: gone. The mammoth Ofsted Self-Evaluation Form: gone. The fortnightly departmental emails: gone. The Performance Management guidance: slashed by three quarters. The capability procedures: radically simplified. The Ofsted framework: slimmed down and focused. The behaviour and bullying guidance: cut from 600 pages to just 50. There’s more to come. In total, departmental guidance will be more than halved. But beyond these changes - which we’ve implemented for the benefit of all schools - we’ve gone further: every school now has the opportunity to take complete control of its budget, curriculum and staffing by applying to be an academy. Now the critics said that schools wouldn’t be interested. They told us that there would be fierce opposition from teachers, heads and parents. That we wouldn’t see the kind of numbers we were anticipating. As of today [4 January], there are 1529 academies open in England. 1194 are converters and 335 are sponsored. 45 per cent of all maintained secondary schools are either open or in the pipeline to become academies. There are 37 local authority areas where over half of secondary schools are already academies, and 64 LAs where more than half of secondaries are either open academies or in the process of becoming academies. Over 90 per cent in North East Lincolnshire; over 88 per cent in Bromley; over 82 per cent in Swindon; over 80 per cent in Thurrock. Three in five outstanding secondaries - and nearly one in 10 outstanding primaries - has applied to convert to an academy. Over 1,250,000 pupils now attend academies. This means around one in seven pupils in state schools now attends an academy - one in three pupils in state secondaries. In an average week, the Department for Education processes 20 applications from schools to convert to academy status, brokers another five schools to become sponsored academies. The last Government saw academies as a secondary-only programme. One of the first things we did was extend academy freedoms to primaries. This is a vitally important part of our reforms. If pupils leave primary school without the basics - if they fail to get a Level 4 at KS2 - then they start secondary school at an extreme disadvantage. Pupils can’t read to learn if they haven’t learned to read. They can’t begin to deal with more advanced mathematical concepts - or physics, or chemistry, or any number of other subjects - if they haven’t grasped the fundamentals of numeracy. And however good a secondary school is, there’s a limit to the extent to which they can pick up the pieces. There are more than 1000 primaries where fewer than 40 per cent of pupils reach Level 4 in reading, writing and mathematics. These schools are leaving children to face a life of drastically narrowed choices in this world. Insisting that schools educate their pupils to Level 4 standard isn’t that big an ask. Level 4 is just the basics. To achieve a Level 4 in reading pupils need to be able to interpret and understand the meaning behind a simple story. And in maths, all that is required is to be able to understand simple fractions and add, subtract, multiply and divide without the help of a calculator. It’s unacceptable that so many children are being let down. So we must act urgently to tackle underperformance in primary schools. Part of the strategy is encouraging more primary academies. More than 700 maintained primary schools are either open or in the pipeline to become academies. These range from small rural primaries - like Kings Caple in Herefordshire with 32 pupils - to large urban primaries like 843-pupil Durand. There are 16 local authorities, such as Darlington and Cornwall, where more than 10 per cent of primary schools have opened or are in the pipeline to become academies. We’re encouraged by the enthusiasm primary schools have shown so far. In the most recent months, there have even been more primary applications than secondary. But there’s more to be done. We have identified more than two hundred primaries with the worst records and we have identified ten local authorities with unacceptable high numbers of under-performing primaries. We are working now to transform them into academies. Most local authorities are being cooperative and constructive. They recognise the benefits academies bring. Some, however, are being obstructive. They are putting the ideology of central control ahead of the interests of children. They are more concerned with protecting old ways of working than helping the most disadvantaged children succeed in the future. Anyone who cares about social justice must want us to defeat these ideologues and liberate the next generation from a history of failure. And becoming an academy is a liberation. It gives heads real freedom to make a difference. Longer school days; better paid teachers; remedial classes; more personalised learning; improved discipline; innovative curricula - these are just a few of the things that academy heads are doing to give the children in their care the best possible education. Even more impressive than what individual academies are doing by themselves is what they’re achieving through cooperation. And this is a critical point. Because the critics warned these new schools would be soulless, selfish islands of elitism. Fragmented. Isolated. Even aggressive. In fact, this cynical prediction couldn’t be further from the truth. Heads, teachers, governing bodies, showed more commitment, more devotion, and a greater sense of moral purpose than the critics gave them credit for. Academies are not islands unto themselves; instead, what we’ve witnessed is an outpouring of desire to help others. The critics said we concentrated too much on extending autonomy to the powerful. Well, like Abraham Lincoln I don’t think you help the weak by punishing the strong. If you get it right, then by emancipating the strong you can support the weak. That is why I have been so delighted that so many outstanding schools have stepped forward to sponsor other schools. Like Sir Joseph Williamson’s Mathematical School, Altrincham Girls’ and Tollbar Academy in Grimsby. Already, 18 converter academies are sponsoring another academy. Schools are continually finding new ways to work together and support each other. There are 403 converter academies in approximately 138 chains. These chains range from multi-academy trusts with shared governance and leadership to looser collaborative partnerships. Like Kemnal Technology College - an ‘outstanding’ school in Kent - which became an academy in September 2010. It formed the Kemnal Academies Trust, a multi-academy trust that currently includes eight secondary schools and three primary schools, from Bromley, Bexley, Kent, Essex and West Sussex, with another school from Hampshire (Havant Academy) joining this month [January 2012]. A further five schools are expected to join by April. The academies in the Trust work collaboratively, sharing training and development of staff, working together on curriculum design, and using shared administrative and financial management services. And the schools are seeing the benefits, with results rising and vast improvements being made. Two of the schools in the Trust, Debden Park and Welling, were amongst the most improved in the country last year. And chains offer the answer to many small primary schools thinking about how best to benefit from academy status. Take the 11 rural Devon primary schools who came together in November as the Primary Academies Trust. Church schools and community schools joining to share expertise and resources to serve the villages of north Devon with the inspiring leadership of two executive principals. It’s clear that freedom need not be the enemy of cooperation. ARK results show an average 11 percentage point increase across their academy network. The Harris Federation is recording an average improvement of 13 percentage points across its family of academies. Eight out of their 13 academies are outstanding. ULT report a 7.1 percentage point improvement across their 17 academies - with six academies showing improvements of more than 10 percentage points. The percentage of students at ULT’s Barnsley Academy achieving five or more A*-C grades including English and maths almost trebled in 2011. Fifty-one per cent achieved these results compared to 19 per cent in 2010. These are the academy’s best ever results and are a dramatic increase from the six per cent of students achieving these results in 2006 - the year before the academy opened. These are not isolated cases. The Academies programme as a whole is raising standards. Recently academics at the London School of Economics published a landmark assessment of the scheme so far. There we see three key findings. First, that ‘academy conversion generates… a significant improvement in pupil performance.’ Second, that - contrary to what the critics claimed was happening - this improvement is not the result of academies scooping up middle-class pupils from nearby schools. While it’s true that, increasingly, more middle-class parents want to send their children to the local academy, this phenomenon is a consequence of the school’s success, not the cause. And thirdly, beyond raising standards for their own pupils, academies also tend to raise pupil performance in neighbouring schools. Success is contagious. The critics also claimed academies would neglect their duty to some of those who need our attention most: pupils with special educational needs. They said academies would use their freedom to shirk their responsibilities. But they were wrong. Twenty-three per cent of pupils in secondary academies have non-statemented special needs compared to 19 per cent for all secondary schools. And the percentage of pupils with statements in secondary academies is in line with the national average. Another group that critics claimed would be left behind by academies is disadvantaged pupils. They said autonomous schools would cream-skim the least challenging pupils and leave the rest to languish. But again, they were wrong. The proportion of pupils on free school meals in academies - around 15 per cent - is comparable to the proportion for all state-funded schools. The crucial difference is that pupils from disadvantaged backgrounds tend to perform better in academies. The attainment rate for FSM pupils in academies improved by 8.3 percentage points between 2009 and 2010. This was over double the improvement rate recorded in comparable schools (4.0 percentage points) and also much higher than the national improvement rate for FSM pupils (4.6 percentage points). What’s more, the gap in attainment between FSM and non FSM pupils narrowed in academies between 2009 and 2010 (by 0.2 points). In comparable maintained schools, the attainment gap widened by 2.1 points over the same period. When they can’t attack the popularity of the programme, and when they can’t attack the what’s being achieved, the critics move on to something more subtle: they attack the culture. Some academies (so the argument runs) may get good results, but that’s only because they’re Gradgrindian exam factories. Creativity, child development, citizenship, wellbeing, and even fun are all being sacrificed to make way for merciless and unrelenting rote learning as part of an ideological push for retrograde Victorianism. It’s all about kings, dates, lunchtime detentions, and braid on blazers. Well I’ve nothing against tradition. But the truth is that with more than 1500 academies, they embrace many educational traditions. Success comes from concentrating on the essentials. Frequent teacher feedback, the use of data to guide instruction, high-dosage tutoring, increased instructional time, and high expectations - explains approximately 50 percent of the variation in school effectiveness. These findings are fascinating in themselves. But there’s a particular nuance I want to highlight. Fryer and Dobbie introduced robust controls for three alternative theories of schooling: a model emphasising the provision of wrap-around services, a model focused on teacher selection and retention, and a ‘no excuses’ model of education. They concluded that, regardless of the particular education model of the school, the factors identified in their study - teacher development, data-driven instruction, a culture of achievement, and high academic expectations - produced similarly strong positive effects. Why is this particularly important? Because it flies in the face of those critics who say that what we are advocating is a narrow, one-size-fits-all, Gradgrindian model. Critics who seek to set up false binary divides between rigour and creativity; between excellence and wellbeing; between an outstanding academic education and one which concentrates on character. Fryer’s work shows us that certain characteristics are related to high achievement with a variety of educational approaches. Expect excellence; offer intensive support; spend time in the classroom; use accountability intelligently; champion achievement… These are the principles that underpin great schools. That’s why while academies come in different shapes and sizes, and while academy heads come from a variety of different educational traditions, and while the Academy programme is explicitly designed to let a thousand - or rather 1529 - flowers bloom, it’s nonetheless clear that the best academies share common characteristics. These are the characteristics clearly reflected in Fryer’s findings. These are the things we are advocating. And to say somehow this equates to demanding a return to the Victorian era is more than a lazy pastiche - it’s downright disingenuous. I’ve spoken a good deal today about the facts on the ground. I’ve tried to show that the proof is in the proverbial pudding, and that the example set by the hundreds of existing academies is more than enough evidence to put the criticisms to bed. But the sad truth is that, for some of these critics, the facts don’t matter much. And they’ll continue to view the spread of autonomy as an unwelcome onslaught. They’ll continue to talk about the Government ‘threatening’ schools with academy conversion. Academy conversion is an opportunity. It’s only a threat to the complacent, to those who have been complicit in failure. It’s certainly not a threat for the children concerned; for them, it’s a liberation. I have been asked not to challenge the leadership of the lowest performing schools in Haringey. But for years hundreds of children have grown up effectively illiterate and innumerate. In one of the most disadvantaged parts of our capital city poor children have been deprived of the skills they need to succeed. Defenders of the status quo say these schools shouldn’t be judged in this way because they have a different approach - they are creative or inclusive. But you can’t be creative if you can’t read properly and speak fluently - you can’t be included in the world of work if you aren’t numerate. The same ideologues who are happy with failure - the enemies of promise - also say you can’t get the same results in the inner cities as the leafy suburbs so it’s wrong to stigmatise these schools. Let’s be clear what these people mean. Let’s hold their prejudices up to the light. What are they saying? If you’re poor, if you’re Turkish, if you’re Somali, then we don’t expect you to succeed. You will always be second class and it’s no surprise your schools are second class. I utterly reject that attitude. It’s the bigoted backward bankrupt ideology of a left wing establishment that perpetuates division and denies opportunity. And it’s an ideology that’s been proven wrong time and time again. Look at what’s been achieved in Harlem’s Children’s Zone or in the KIPP schools in America. The poorest children going to the best colleges because their teachers expect the best of every child. And most importantly look what’s happened here. In the Harris Academies. In ARK schools like Burlington Danes or King Solomon or Walworth Academy. In Mossbourne Academy and Manchester Academy. Children from the poorest homes going to the best universities. Exam performances better than scores of schools in the leafiest suburbs. Ofsted ratings which are consistently outstanding. So my message to those in Haringey and to others is: stop saying ‘hands off.’ Stop saying that the arrival of the expertise that can help your schools is a threat. They called Phil Harris a threat 11 years ago; he’s transformed the lives of hundreds of thousands. They said it was a threat when people from the City became involved in sponsoring schools - tell that to the children at King Solomon. The arguments being made in Haringey are the same ones that were made about Hackney Downs in 1995. Back then 11 per cent of children got 5 A* to C with English and maths. Now at Mossbourne 82 per cent in 2010 get 5 A* to C including English and maths, and ten students got offers to study at Cambridge this year. And for those that say this approach is untested in primary schools you only have to look at what has happened right here at Haberdashers Aske Hatcham. In 2008 Monson Primary School was in notice to improve with falling rolls. Now 76 per cent of pupils are achieving Level 4 at Key Stage 2 and two more primaries have joined the federation. But the teachers, parents and pupils of Hatcham and Mossbourne wouldn’t wish for a return to the past. We’ve heard a lot of arguments, a lot of excuses from those who don’t believe in giving children a better education. It’s time we called them what they are: ideologues. It’s the same old ideologues pushing the same old ideology of failure and mediocrity. Who sought to cow anyone with a desire for change by accusing them of ‘talking down’ the achievement of pupils and teachers. The same old ideologues who strove mightily to make the world fit their theories - and damaged generations in the process. What’s new is that the evidential basis of their policies, always thin, has now disintegrated altogether. Schools like Haberdashers’ Aske’s Hatcham, which we have the privilege of being in today, and hundreds like it across the country, are proof of what can be achieved - not just for some children, but for all children. Change is coming. And to those who want to get in the way, I have just two words: hands off.